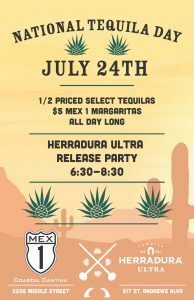 On Tuesday, July 24th, Mex 1 Coastal Cantina will celebrate National Tequila Day by introducing Herradura Ultra to their menu. 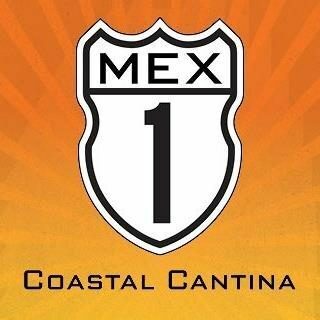 Plus, both locations (Sullivan’s Island and West Ashley) will offer $5 Mex 1 Margaritas and half-priced select tequila specials all day long. 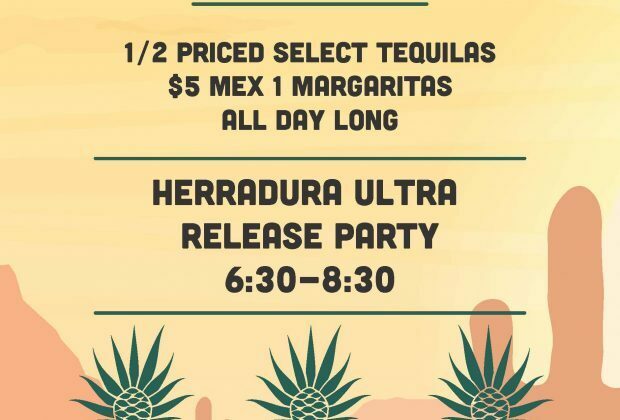 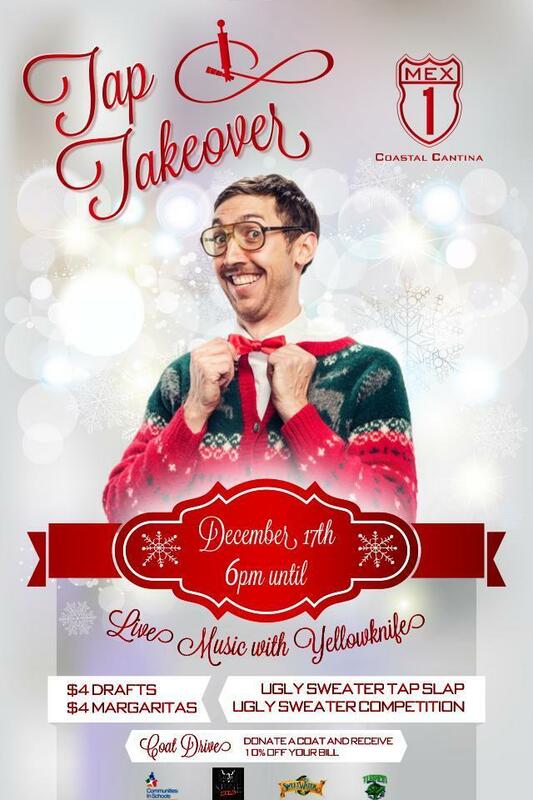 The release parties will run from 6:30 pm to 8:30 pm and will include a flight of Herradura tequilas featuring a sample of Herradura Ultra. 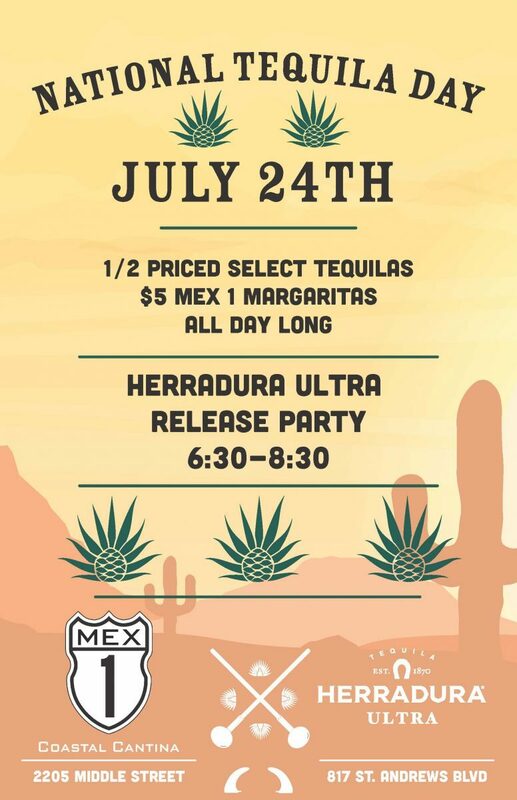 Distilled in the small town of Amatitán, Jalisco, Mexico, Herradura Ultra is an Anejo and Extra Anjeo blend, combining tequilas aged in oak barrels for up to 49 months which are then stripped of color by the distillery’s proprietary filtration method for a clear "super premium" tequila. 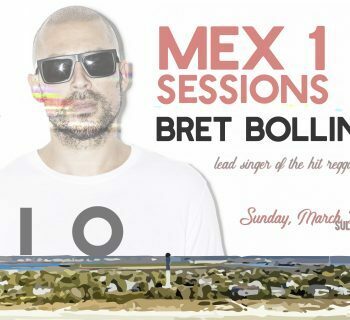 Its smooth notes of vanilla, caramel, wood and toasted almonds, finishes with a hint of blue agave nectar.